Its time for an update! The American Chemical Society (ACS) ChemClub program had its clubs create artwork for a 10th Anniversary ChemClub Periodic Table in 2015-16. Now there are even more elements and more Clubs! 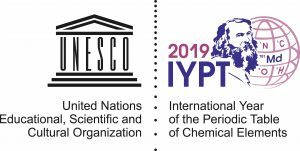 Help put together a new ChemClub Periodic Table poster for the 2019 International Year of The Periodic Table. 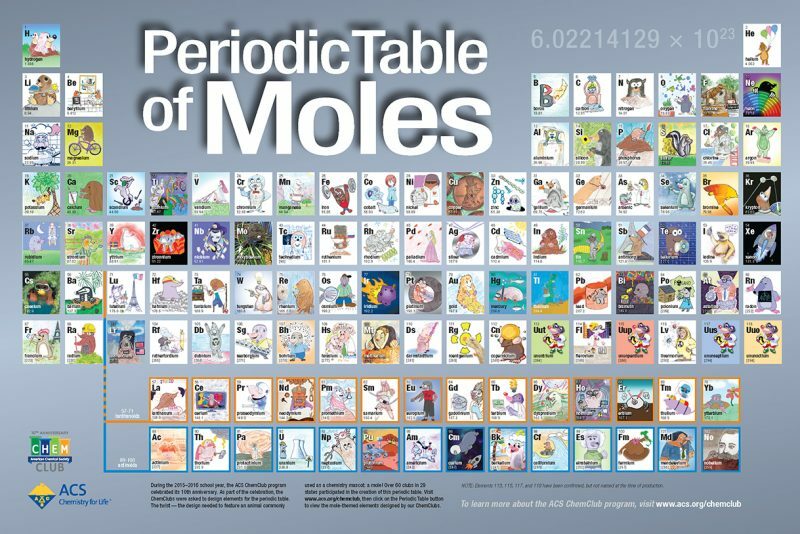 Your Club can choose one element, then create a mole-themed design that relates to the element, such as a connection to the elements discovery, uses, history, properties or cultural identity. Clubs can create artwork for one element that relate the mole to either the discovery, uses, history, properties or cultural identity of that element. How will we create the ChemClub Periodic Table poster? Choose the element that your club wants and register it here. Elements are available on a first come, first serve basis. Choose only one element if more than one is chosen, we will assign an element to you. We may allow you to make more than one element. Stay tuned! You can also search for mole at pixabay.com, which allows free use of its images. All completed tiles will be included in the Periodic Table, which will be printed and distributed by the end of the school year.